HOUSTON – (Realty News Report) – The Kings Cove apartments in Kingwood, which suffered heavy damage in Hurricane Harvey, have been repaired and renovated. 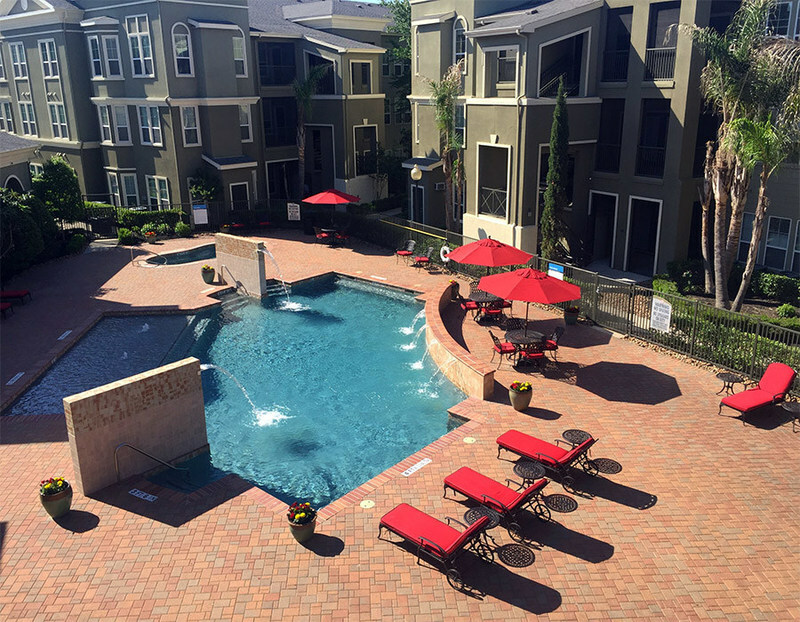 The 192-unit complex received an extensive, $6 million renovation and repair redo. Kings Cove is asset-managed by National Asset Services, a Los Angeles-based firm. “While being among the first properties in the area to reopen is extremely satisfying, we are very proud to offer an even better living environment for Kings Cove residents,” said Karen E. Kennedy, president and founder of National Asset Services. Kings Cove Apartments is located in King’s Harbor near Lake Houston at 4920 Magnolia Cove Drive in Kingwood, Texas. To celebrate the milestone, a Grand Re-Opening event will be held on April 19. The apartment community underwent dramatic upgrades that include; new stainless-steel appliances, white cabinetry, stained concrete flooring, new designer light fixtures, ten-foot ceilings with exposed ducts, and private patios or balconies. Other improvements include the swimming pool area, complete with new furniture and tropical landscaping, clubhouse and other community amenities. The community is professionally managed by Greystar and includes one, two and three-bedroom floor plans ranging in size from 707 to 1,368 SF.